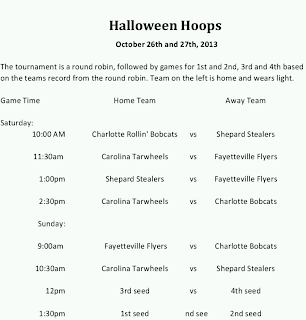 Carolina TarWheels: Excitement Builds for the Halloween Hoops Tournament! Excitement Builds for the Halloween Hoops Tournament! 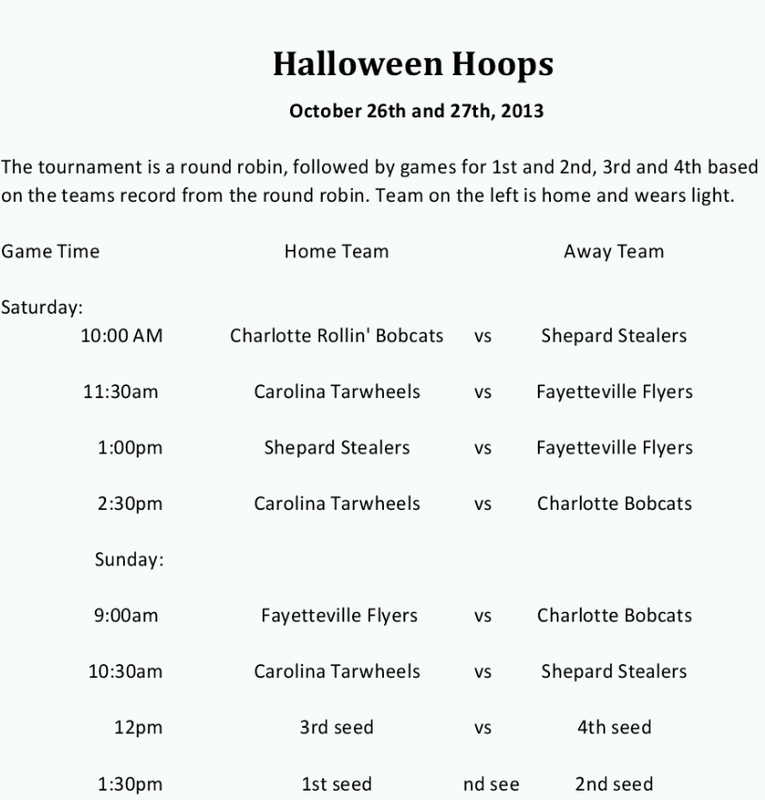 The TarWheels origin paints a pretty clear picture as to the rivalry that has been building with one of the teams attending this year's Halloween Hoops Tournament. This isn't just with one team, a second team as well! That clash has come from great battles with titles on the line! All of this can only mean one thing, some of the best wheelchair basketball... scratch that, basketball, that you can see on the East Coast and it starts tomorrow! Free basketball accompanied with some great family fun for Halloween, including face painting by Christy, pumpkin painting, children's costume contests, adult shooting contest, and brand new TarWheels sports apparel will be available as well! When Donnie Langford and two others left the Charlotte Bobcats, there was a need for a second team in the area, and with that, The TarWheels were born! Fast forward to four years later; the TarWheels have grown into what you see today, each year making new strides on the national level. The Bobcats stayed in their division of the NWBA and so the two teams never had an opportunity to combat. This season, the Bobcats joined the same conference and division as the TarWheels. Now, these two teams who know each other so well will leave it all on the court! The Fayetteville team has also proven to bring out the best of The TarWheels. These teams last played at the conference tournament. When a title game is influenced so much by, to put it nicely, sorry refereeing, you can be sure the losing team will look forward to the next meeting! That meeting will be Saturday morning, tip off at 11:30 am. Hopefully this time there will be no referee keeping track of any fouls, especially of a team's best player! Atlanta is the out of state team coming in for quite the tournament. We'll all have to see what level of competition they bring, but in the past they have put up quite the points on the score board. Can't wait to take in all this action? Neither can we! The schedule is below, put on your TarWheels shirts or grab one when you get to the gym! See you on Saturday and Sunday!